I tried adding additional aces to the aces file but the campaign was no longer available to me. I took it out and the campaign reappeared. I have been able to add additional AI pictures and have been able to alter the AI file. I have not flown enough to notice if any of the AGGERSSIVENESS, SKILL or SENSE field have affected the way the AI reacts. The road less traveled is filled with fewer needy people. Thank you very much for your efforts here, Pat, it is very much appreciated. I do have a question for anyone who knows, regarding the skin packs. It may have been covered somewhere in these 151 pages of posts, so forgive me if that is the case, but reading forums is difficult enough for some of us with eyesight issues, let alone that many pages. I only own and fly British and French aircraft - do I need to download the axis skinpacks, too, for AI controlled aircraft, perhaps - or are the skins only for player aircraft that one might fly? and while I'm here - thanks to the painters who made skins, too. "The way you keep forgeting things, you'd think you'd remember"
FlashHeart: get all of them. They get used by enemies, friends, and your squadron mates. Care was taken to make the assignments appropriate, so if a skin is assigned to an AI pilot then that skin should either be for his squadron or generic. Chef: Those parameters are not used. Early on I had hopes of that the AI would be a bit deeper, but it is just 1, 2, 3 and 4. About aces: there is the master ace file and the campaign ace file. The master is what happened historically. The campaign ace file reflects what has happened in your campaign. If you edit one and not the other there could be an error. I make no guarantees as to how the software will react to such edits, but you can try. Thank you - I'll do that. Been awhile so I thought i would post an update for those who do not visit the 777 forum. PWCG 14 is the most significant update in a very long time. Coding and testing have taken weeks. The missions are better than ever, air and ground. Hope that you will enjoy this. - Attacks - tanks vs artillery for ground attack missions. Match operational tempo to battles. Changed Artillery AAA to fire at 10x rate. Allows for more fire with fewer entities (Thanks requiem). - Not used for low level missions because it is too deadly. - Land behind your lines, in NML or near one of your positions and you are safe. - Land behind enemy lines and the deeper you are the less likely your escape. Modeled front lines for both sides. Eliminated non-viable mission message. Now some missions will be without contact. - No more landings. AI aircraft are now deleted before landing. Player can land normally but will not land automatically. Sounds great - grabbing it now - thanks Pat! Got the newest version. I just wanted to take a moment to say thank you Pat for all your hard work! Your campaign generator makes RoF the most immersive flight sim experience I have ever known, by far. I don't post very much to forums. I do read this one often. I have played ROF since it came out in 2009 and think it is a super WW1 flight Sim. I have enjoyed it immensely. I just started playing your campaign in the last week and I am truly amazed at the immersion factor achieved with your program. It really improves the experience of a great sim. Thanks from an old campaigner. So I downloaded PWCG ... now what? What can I do? fly for it. You can freely transfer between squadrons within your service. time in two seaters if you like. pushers allows two seater careers to start in 1916.
scouts or two seaters. Join Willy Coppens on a balloon bust. historical so the things that they do will make sense. the ground that want to kill you. pilots are given the better planes. one - as long as your squadron is actually flying it. are done, read the latest news and reports after the mission. Did an ace die? Was a squadron mate awarded a medal? Has a new offensive begun? combat reports. If you want to adds notes, you can. action for months. I call this the Berthold/Nungesser career path. skins can change over time. Is there way to see what map what squadron uses or limit generated campaign and selection to default map? I don't have Channel map yet. Not initially. Start off by creating a campaign for whomever you wish to fly for, then look at the Intel map page. If that squadron is on the channel map then transfer to a different squadron. Once you are in a campaign you can use the intel map to see which squadrons are stationed where. I can't give you a list of Channel map squadrons because squadrons move based on history. They go back and forth between the Channel map and the standard map. If you do not have the channel map you will have to transfer whenever your squadron moves outside of the standard map. I've been playing with AAA settings. Set to 1=x10 fire rate... which is too much for the online missions we run in our vSquadron (causes a lagg fest once the flak gets going)or set to 0, which seems to mean no flak at all. Is there a way to get flak at a lower firing rate. Setting 10x = 0 just means it will use 1x Flak and not 10x. With that setting we're getting next to no flak. - Limits number of planes that will spawn in a mission. - Completely changes how a mission plays out. - More and better encounters. - Allows many more planes and flights to be included in a mission. - Two seater squadrons now have observers as well as pilots. - Strategic bomber squadrons have pilots, observers and gunners. *- Observers and gunners can score victories, improve, and die independently of the pilot. - The player can choose to become an observer. - Get an observer's badge if you are German. - Ability to transfer as pilot or observer. - You will have to put yourself in the observers seat when you fly. - Ground victories are shown in the pilot log book after air victories. - Ground victories are shown in the squadron log book. - Ground victories figure in recon medals for player and AI. - Ground victories figure in skill advancement for AI. - Ground setting in simple configs must be medium or high. - Increased spread of AAA at front lines. - Saves lots of space. - Bavarian or Prussian for German. - Lets German pilots fly night missions. - Used to be "Enemy Aircraft"
- Fixed no AAA around ambient balloons. - Fixed flood of medal awards after first mission. - Fixed possibility of German pilot being awarded higher rated medal before lower rated. PWCG allows you to play the role of a WWI pilot. You choose a service and you fly for it. You can freely transfer between squadrons within your service. You are in control. You can join the RNAS. You can transfer between land and sea planes. Fly a Felixstowe for awhile and then transfer to a Camel squadron. After April 1918 you will be merged into the RAF and then you can fly for any squadrons. Go from Felixstowe, to Camel, to SE5a after the merger. You can throw in some time in two seaters if you like. Join the RFC. Start your career in two seaters. Transfer to a home defense squadron for awhile and try to take down a Gotha at night. Then it's back to the front. 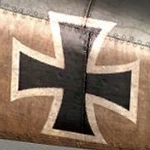 Join the German Air Service. Start your career in two seaters. Use your aggressive nature to bring down an enemy and earn a transfer to scouts. Be a Prussian, Bavarian, Saxon, or Wurtemburger and earn medals from your kingdom. Join the German Navy. Fly sea planes and then transfer to land based scouts and back again. Join the French air force and fly two seaters or scouts. Defend Verdun early in the war. The use of the FE2b in place of the Farman and other French pushers allows two seater careers to start in 1916. Be an American flying for the allies. Choose to be an American and fly as one in any Allied squadron. Once the Americans join the war you can choose to transfer into an American squadron. Make the choice carefully though, it is a one way ticket. Join the Belgian air force and fly for that beleaguered nation. You can fly scouts or two seaters. Join Willy Coppens on a balloon bust. Fly as a scout and see how you match up. Want to be a balloon buster? There are always balloons about but the AAA is fierce. Enemy and friendly flights are not spawned at trigger points but actually go about their business just as you do. This makes encounters natural. You might encounter a flight doing anything, from any direction, at any altitude. Mission parameters are historical so the things that they do will make sense. spot mechanism. Pay attention and get the artillery on target. Fly a contact patrol. Sounds simple right? Just fly along the front and look for the flare. Problem is you are flying low, and there are lots of people on the ground that want to kill you. Fly strategic bombers. You will target enemy ports, factories, and sometimes shipping or even tactical targets like troop concentrations. Missions are flown at night, so getting up and down is half the challenge. Opposition in the form of night fighters is there, and getting caught by the search lights can be disastrous. Now Gothas will do historically accurate daylight raids before transitioning to night raids. Fly as an observer. Take the back seat. Get your observers badge and get a few missions at the front under your belt before getting your wings. Protect your aircraft and do the really important work, photography bombing and spotting. You are not locked in. Transfers allow you to transition from pilot to observer and back again. Many top pilots started their career as observers, worked their way to pilot, and then to scout pilot. PWCG now allows you to recreate this career path. PWCG also gives pilots their wings - pilot badges for Germans and Belgians, cloth wings for other Allies. Observers also get their badges. For any ground attack there might be a battle going on underneath you. The attacker will be attempting to advance on the defender's position. Artillery and machine guns will be firing, tanks will be rolling, and a flare might pop to mark a position. Join the fray? Go ahead, but those guys on the ground are not helpless. Medals are awarded historically. German medals for consistent performance and Allied medals more for acts of bravery. Ranks are correct for your service, and promotions come with experience and success. Higher ranking pilots are given the better planes. As of 14.5 medal awards have been revised to provide different criteria for scouts and recon. Your AI pilots also improve with experience and success. If you are a leader, let your AI mates finish a cripple. Fly inexperienced pilots with experienced ones. You might be rewarded when the ace that you nurtured saves your bacon in a tough fight. AI flight mates now include observers in two seat squadrons and gunners in strategic bombing squadrons. These AI flight mates will also live, die, and improve over time. In the briefing room you can change the mission. Move a waypoint, change the altitude, change the fuel load, etc. Move to the pilot board to change the pilots and plane assignments. Don't like your plane? Give yourself a different one - as long as your squadron is actually flying it. Use the debrief to find out what happened on your mission. Claim your victories and see if they are confirmed. Add your comments to the combat report. When you are done, read the latest news and reports after the mission. Did an ace die? Was a squadron mate awarded a medal? Has a new offensive begun? While you are in your campaign look at the squadron logs to see what happened in your unit over the course of your career. Look at your journal to see old combat reports. If you want to adds notes, you can. PWCG allows you to fly dead is dead. select this option in advanced config and take your chances. Flying DiD also allows your pilot to be captured. If the vagaries of flying a computer sim are too much for DiD, choose heavily wounded as a maximum penalty. It is no small penalty as you will be out of action for months. I call this the Berthold/Nungesser career path. victories or die early. Aces fly with you and against you. They transfer into and out of your squadron as they should. Their records are available from your squadron screen. The top 10 aces at any time are shown in the top aces screen. Aces fly with their skins whenever the skin exists. Ace skins can change over time. PWCG uses any historical or plausible skins that are available. Squadron skins are represented. Wherever a squadron skin exists PWCG makes appropriate use of it. Changes in camouflage and markings are historically represented. German crosses change. German camouflage transitions from green/brown to green/mauve to various forms of lozenge. French transition from CDL to camouflage. British transition from CDL to PC10. To add to the variety,if non-ace personal schemes exists for a unit they are used in conjunction with the generic squadron markings. plain Factory markings are also sometimes used to mix things up further. There's not much that PWCG does not let you do. Starting a career as observer is something I always wanted to try. Last edited by Rama; 11/24/13 01:09 PM. Being a pain, downloaded from the ROF site, installed but it tells me it's version 11.4, I've done something wrong haven't I.
RoF web site link is beyond ancient. We have asked them to either take it down or - better - link to the web site above but it hasn't happened yet.